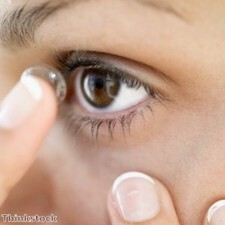 Popularity of online contact lenses "is soaring"
An increasing number of people are choosing to buy contact lenses and glasses online rather than buy them from traditional stores, for a variety of reasons. Dr Lil Linton, president of the Canadian Association of Optometrists, told the Times Transcript that "you get what you pay for" when it comes to buying contact lenses online, with the reputable stores with an established name far more reliable. The sheer convenience of ordering contact lenses online and having them delivered to the door is a major reason why many people are choosing to adopt this approach to purchasing the products, and this looks set to continue in the months ahead. Dr Linton explained that buying glasses online is often time-consuming because of the number of factors that come with having them fit, such as the shape of the frames and lenses, which could make contact lenses a more attractive option for some. Recently, Richard Thomson, writing for the Portsmouth News, highlighted the fact that many people are opting to avoid the high street and buy online, sometimes saving substantial amounts of money.